The proverb quoted indicates even a fool can look wise If they don’t speak, and keeping their lips closed tight can make them seem intelligent. No one can know how smart or not you are if you don’t speak. People will assume you are smart if you keep quiet and don’t prove otherwise. Speech is an awesome gift from God. Words have power and as we see silence has power too. April 4, 1968 Martin Luther King was assassinated. Across almost every major US city there was protest and destruction as the black community blamed the white community and were outraged for his killing. But in Indianapolis, Indiana, then Presidential candidate Robert Kennedy spoke to the community, many listening were black. Kennedy showed compassion and empathy, and he invoked Martin Luther King’s ideal of replacing violence and bloodshed with compassion and love. He recognized a desire to want to reach out in violence but encouraged the community not to protest. He said we don’t need a divided America, a lawless America, but we need wisdom and compassion toward one another. He asked them to return to their homes, say a prayer for Martin Luther King and to pray for America. Indianapolis that night was a city that did not see violence, protest or destruction. The people went to their homes and did as Kennedy asked, they prayed. Words are powerful. We can use our words to raise people up, and to tear people down. We can do both in the name of righteousness. 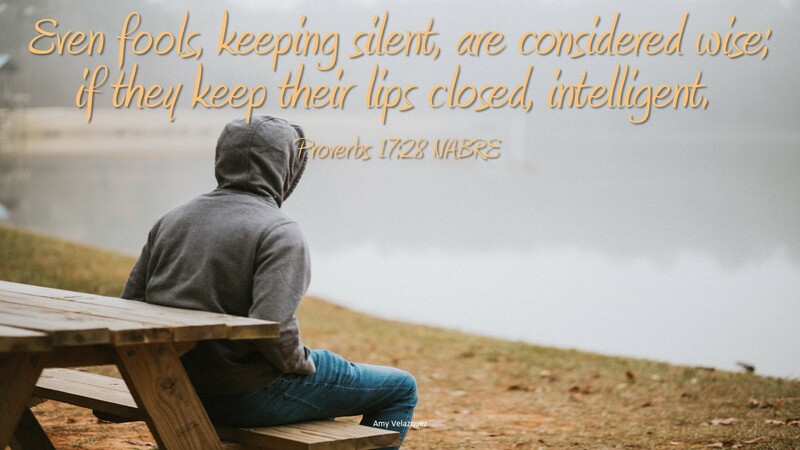 The Proverbs are filled with wisdom about speech and how it should be used. As the beloved of God we should do all we can to encourage others, to do good and to call on God to help us always find the right words. How do you use speech? Do you think first to encourage with your words?